Every JTA stop on the Riverside Avondale Night Trolley route has a sign posted. To find your closest stop, check the trolley route map first. It will tell you which streets the trolley travels. Then look for the stop signs along the route. They are located every few blocks. As the vehicle nears your stop, signal the operator by pushing on the passenger signal strip located near all windows. This informs the operator you wish to get off at the next stop. 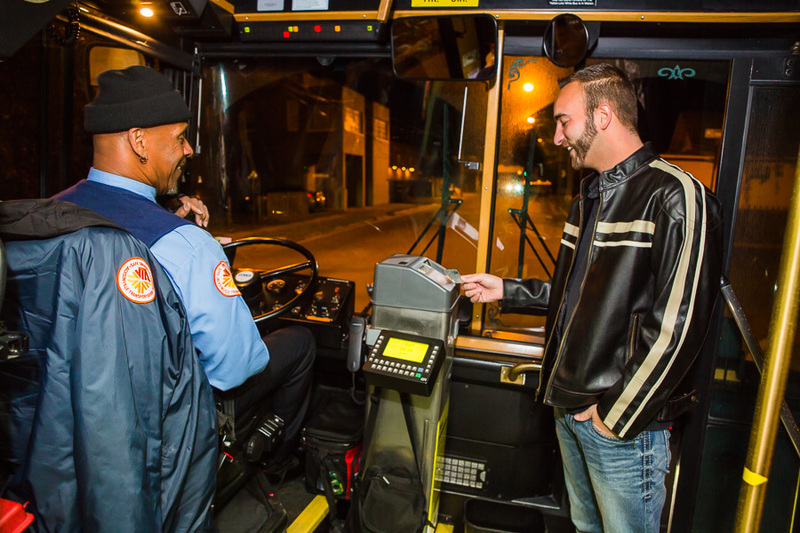 If you aren’t sure where to get off, ask the operator to call out your stop. JTA’s operators are very conscientious and will do their best to help. Please exit through the rear doors. This will leave the front area clear for people who are boarding.